Studying abroad can be one of the most exciting experiences of your life. The English Language Academy (ELA) offers a total experience for students who want to improve their language skills in a beautiful and safe environment. ELA trains non-native speakers in specific uses of English for academic, technical, or professional purposes. The English Language Academy at the University of San Diego offers an intensive English Language education program as well as several customized or online programs including Business English Accent Modification and Teaching English as a Foreign Language (TEFL). 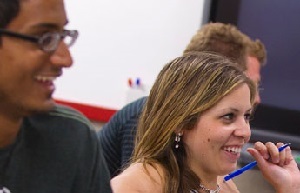 These programs are designed for university bound students and other international audiences seeking opportunities to learn English in the U.S.
Professional and Continuing Education (PCE) at the University of San Diego (USD) offers practical, real-world solutions to support your consulting or employee education needs. We can support you with one-on-one consultation, or work with you to develop focused, custom-tailored programs that move your employees to the next level of performance. Private group training programs include both courses and certificate programs that help employees build valuable skills designed to support your organization's success. Call Today To Discuss Your Needs and Receive a Free Proposal!